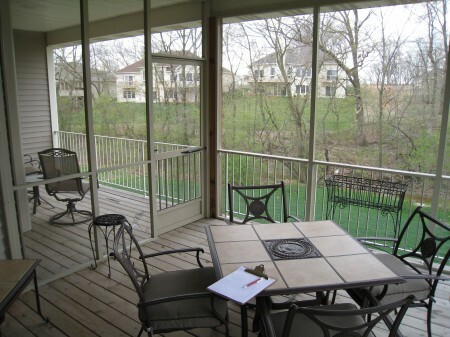 Looking to get more use from your patio or deck but aren’t ready to make the investment in a true, year-round sunroom? 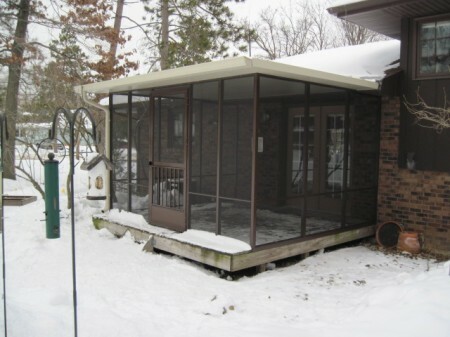 Four Seasons Sunrooms can expand your existing living space with an inviting and versatile screened room. Screening in your patio, porch or deck provides cost-effective protection from insects, as well as solar heat, glare and light rains. With a new screened room, you can enjoy the outdoors even when it’s drizzling, when the sun is too hot or when the bugs want to join the party too! 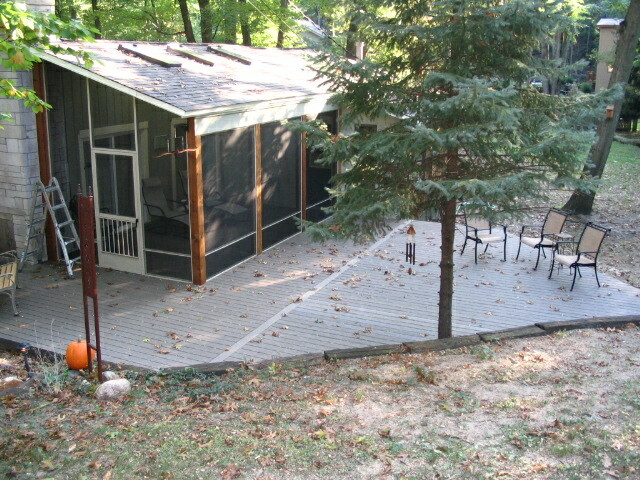 At right is a prefabricated screened room built right on an existing deck. This type of project takes approximately two days. This second screened room is gazebo style and includes full wall screening with a screen door. This charming deck addition is completely maintenance free with vinyl railing and vinyl decking. This is a new composite deck and screen enclosure. It has been seamlessly incorporated under an existing roof with three skylights and 6″ x 6″ cedar posts. Living in a townhome or condominium with an exposed deck? 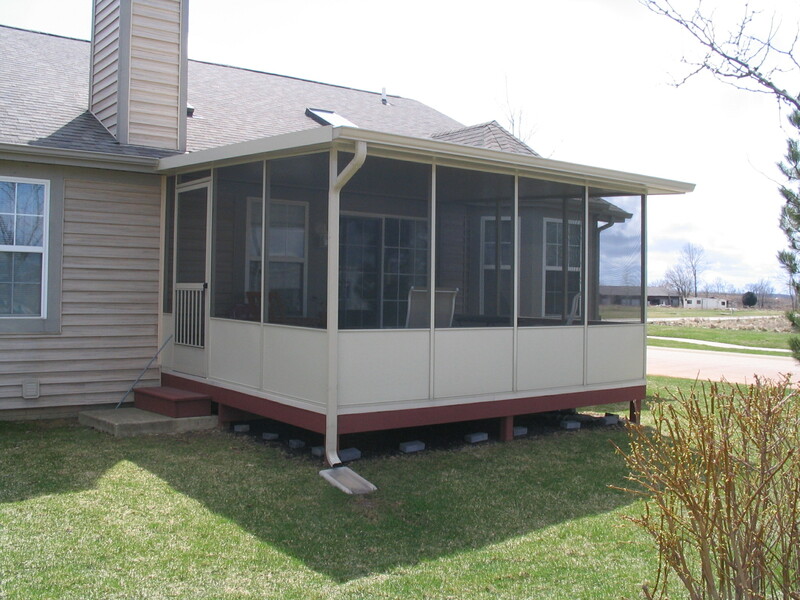 We can turn your deck into prime living space in about one day! We just finished this screen room upon an existing deck. We can usually do this job in just two days. 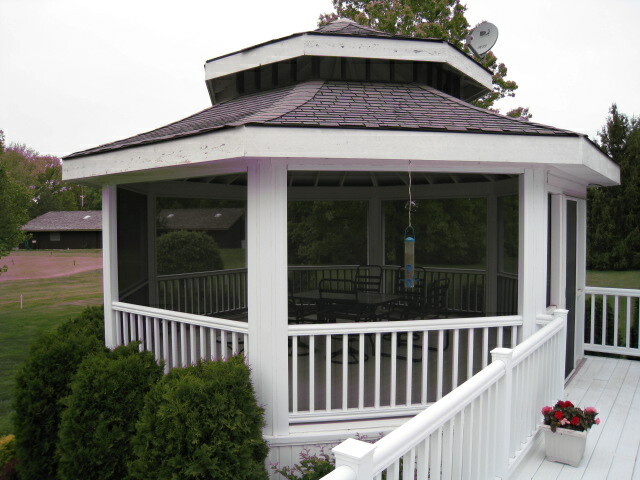 This screen room was built upon an existing deck. We added four concrete piers, posts, and girders for reinforcement. 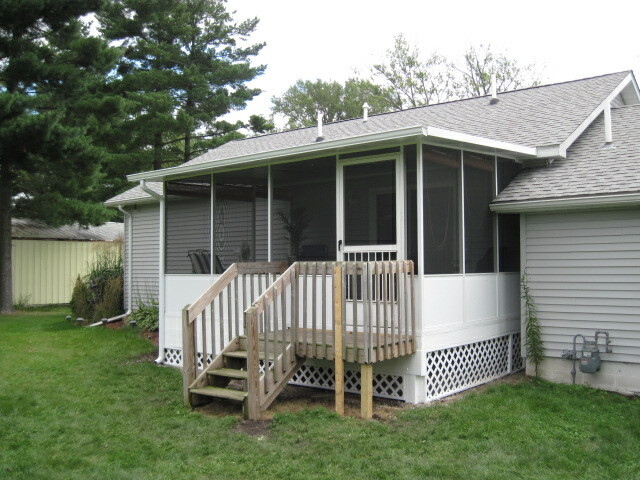 Because the deck was up in the air, we added a nice wood railing for safety. 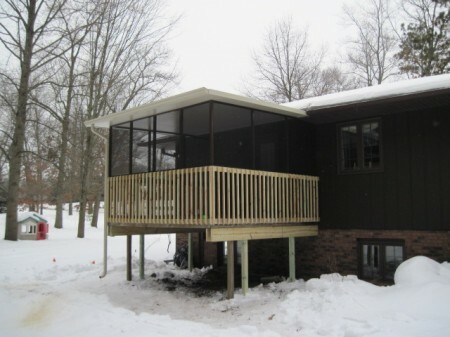 This project we built a new deck with a screen room and little landing with stairway. The owner wanted the ‘kickplate’ to be solid material instead of screen all the way down.